Erin Einbender and Laura Berryman were volunteering at Austin Pets Alive! 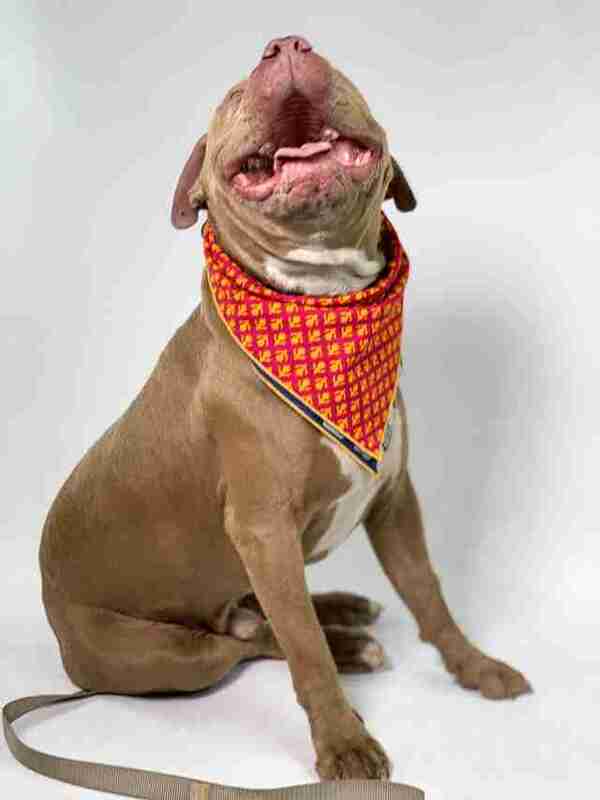 on Saturday, doing a photo shoot with some of the dogs to help them get adopted. They were just finishing up working with one of the dogs when they were suddenly told about a stray dog wandering around the neighborhood — and decided to see if he wanted to become their next model. The two women could immediately tell that the dog was friendly — and sure enough, as soon as he spotted them he came trotting over, incredibly eager to make some new friends. 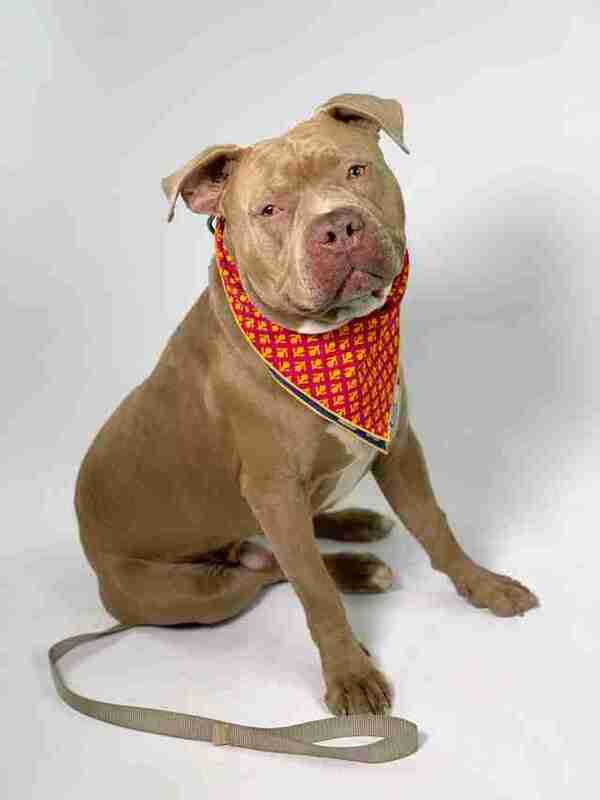 The sweet pit bull was wearing a collar, but there were no tags on it, so the women had no way of getting in contact with his family. 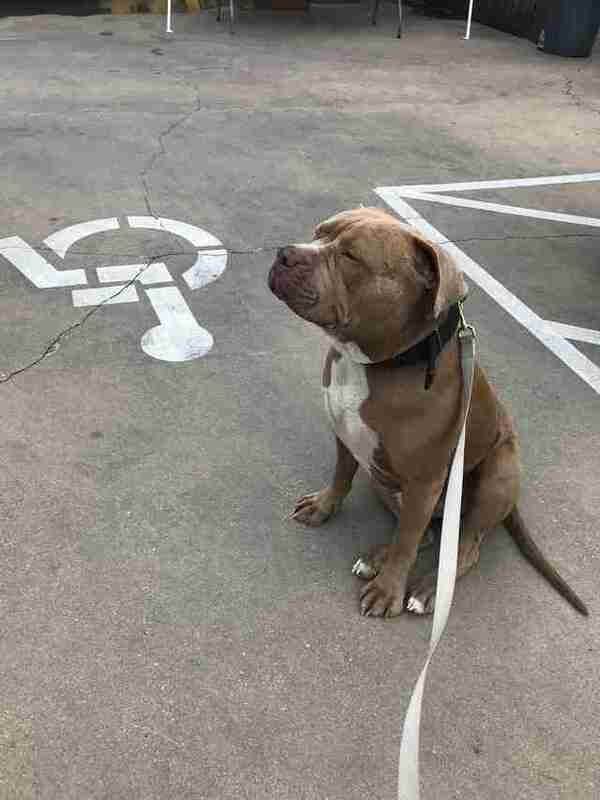 They put a leash on him and walked him around the neighborhood, trying to see if anyone knew where he’d come from, but unfortunately had no luck. Since they couldn’t seem to locate his family, the women decided to take the lost dog back to the photo studio with them, and couldn’t resist engaging in a photo shoot with the very handsome pup. … until his new friends brought out some nice snacks, and he sat down and started posing right away. The dog sat for the photo shoot for several minutes — then decided he was bored and got up and peed in the middle of the room. 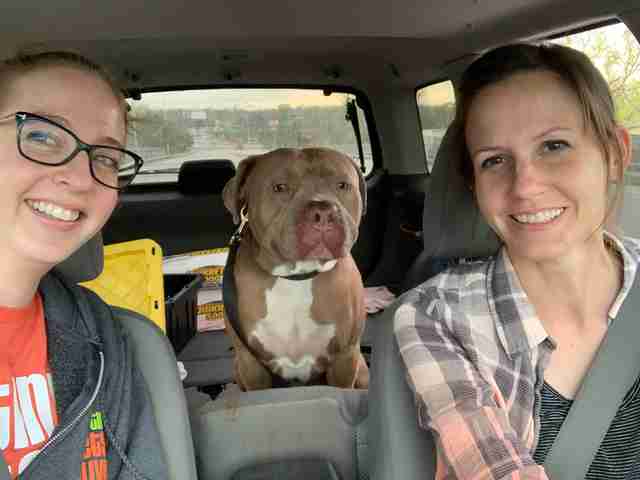 Once they realized he was over his moment of fame, the women loaded the dog into their car and drove him to the Austin Animal Center so they could scan him for a microchip. 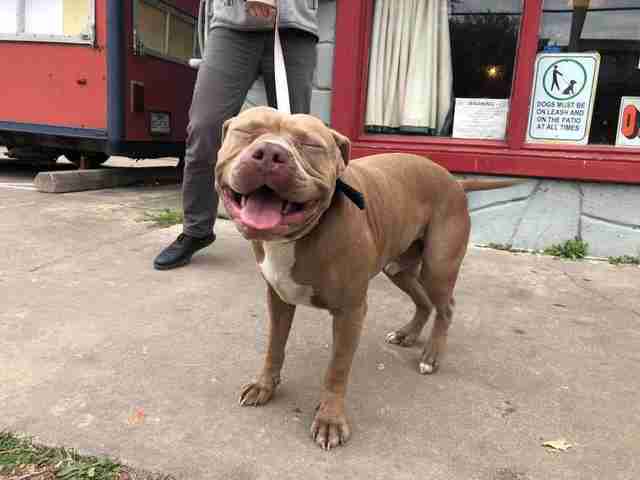 He smiled the whole way to the shelter, clearly loving his little adventure with his new friends. 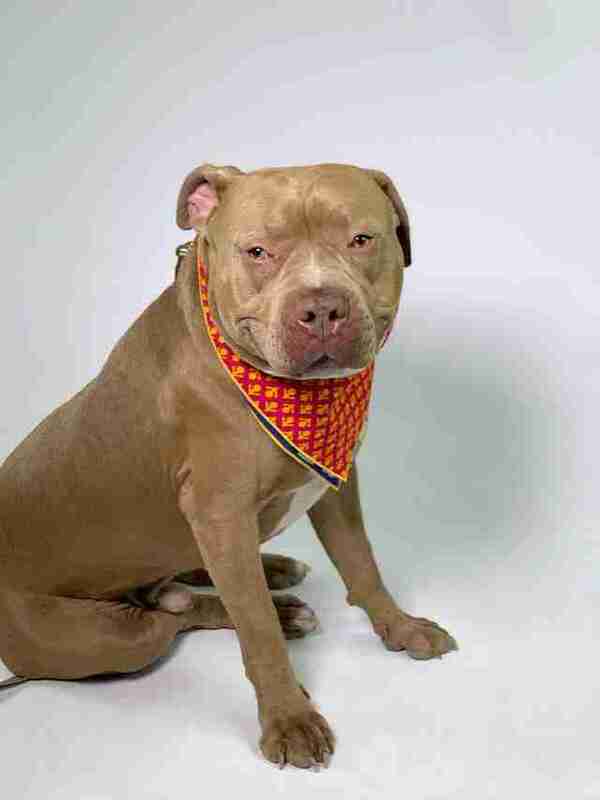 Unfortunately, the dog wasn’t microchipped, so after leaving him at the shelter the women posted about him on a few different lost and found pages, hoping that his family would find him — and luckily, they did. 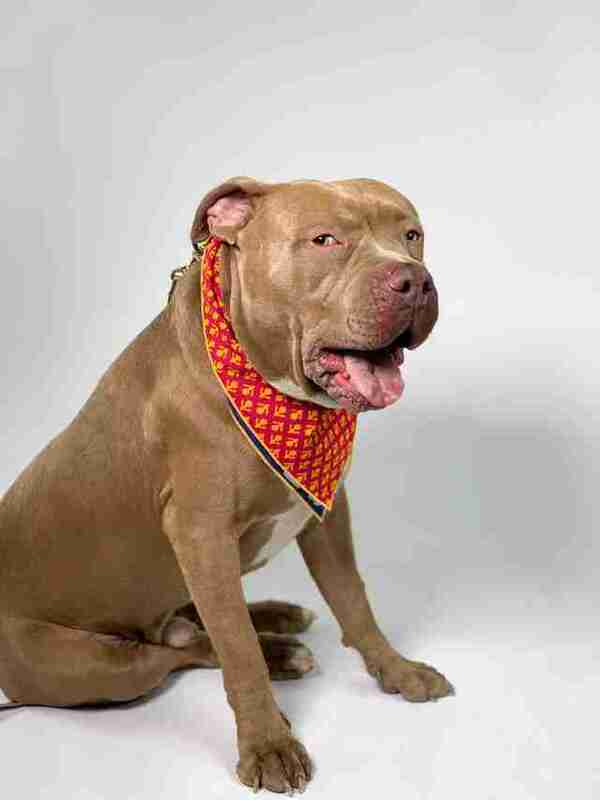 Zeus’ family will probably never know anything about the glamorous day their dog spent without them, but there’s no doubt that Zeus will always remember his wild adventure where he made new friends, had his picture taken and got some yummy treats.